Synnex Corporation has launched a new regulated industries strategy focused on empowering its customers to deploy solutions in key end-user verticals, including transportation, healthcare, utilities, and construction. With its public sector business as the foundation, Synnex' regulated industries strategy is an important step in helping resellers grow their businesses in these high-compliance vertical markets. The strategy further complements Synnex' portfolio for city services around public safety, healthcare, education, and building automation, which together power the smart city technology segment. "We understand the challenges customers face selling into regulated industries and are well positioned to help them simplify the navigation of these highly complex yet increasingly important verticals markets," said Eddie Franklin, vice president, sales, public sector and vertical markets, Synnex Corporation. 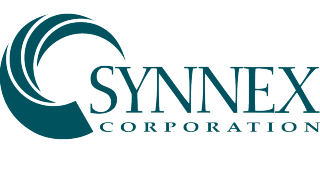 "By leveraging our experience in public sector markets, Synnex is able to provide customers with effective go-to-market strategies as they seek to establish or grow their businesses in these segments." Construction: a toolbox of technology solutions to help end users operate intelligent jobsites, including wide-format printers, displays, 360-degree cameras, 3D input devices, drones, and virtualization and virtual reality products. In healthcare, Synnex is increasing its focus to help resellers address the growing number of opportunities around virtual health as well as the needs of mobile healthcare workers in rural settings. Resellers can rely on Synnex experts to help them navigate applying to and seeking funding from the Healthcare Connect Fund, which provides discounts on eligible expenses related to broadband connectivity and infrastructure for rural healthcare providers. Resellers can also rely on the support of Synnex' field services program through its SERVICESolv group. The program helps support and simplify how resellers go to market with and close opportunities in field services through a focused approach to technology deployment that ensures the successful launch of new infrastructure.